No matter your sports team allegiances, fans who enter a venue don’t want to miss a play. But when it comes to sports entertainment, your clients are at a disadvantage. As attendance at sporting events trails off, many organizations are working to entice fans with promotions as diverse as money-back guarantees, rock concert nights, and fireworks displays. The main barrier to attendance is a different issue altogether. Home entertainment options have advanced so rapidly fifty-five percent of Americans say they would rather watch a game from the comfort of their own home than travel to a stadium. With companies like Sony and Panasonic promising 8K HD for coverage of the 2020 Olympics in Japan, the pressure to keep fans in the seats is more intense than ever. 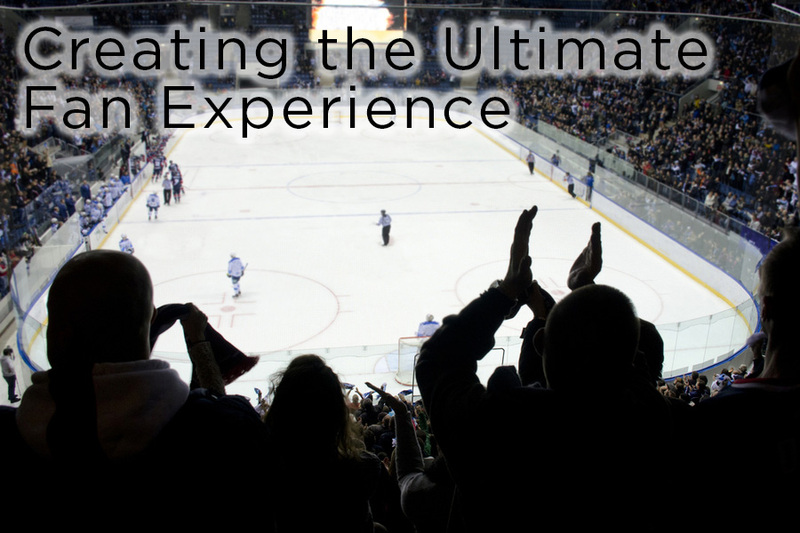 AV integrators can help our clients in sports entertainment by enhancing the fan experience. Using technological advances in the stadium can create a unique experience superior to home viewing. One of the mistakes some sports organizations make is throwing technology at the attendance problem without having an integrated plan. Today, fans have access to high tech experiences at home and have full control of that experience using simple a remote control and DVR. It isn’t enough for venue operators to only offer Wi-Fi capabilities or more video screens and expect attendance to increase. The first step to boosting attendance and retaining a core of season ticket holders is to cater to the unique desires of each fan base. As Daniel Newman of Congverge.xyz points out, big data and cloud computing can help sports organizations better understand their fan base more intimately. As an example, soccer powerhouse Real Madrid has partnered with Microsoft to leverage this information. Only by understanding their fan base completely and what they desire in a stadium experience, will sports organizations be able to successfully create the best experience. The same principles that digital marketers follow to create personalized online experiences to encourage recurring engagement and conversions can be applied to help design innovative AV integration strategies in sporting arenas. Leveraging the cloud to gather fan data and interactions with fans should be the first stop on the road to implementing a successful AV integration plan. By creating and deploying mobile apps to help spectators personalize their game day experience, the data usage and statistics generated can be a significant asset in streamlining your audio-visual integration priorities. One way many sports organizations are enhancing the fan experience is by broadcasting clips of other games in the venue. To compete with the home experience of watching clips and replays from other in-progress games, installing additional video displays in the venue offers fans an enhanced viewing experience minimizing the fear of missing out on other game action. Another strategy is deploying IP-based video systems in sports stadiums. The ability to pull from multiple video sources without expensive and complicated equipment upgrades allows event staff to produce more interactive experiences that are superior to home viewing. Add in audio solutions to boost fan ambience and create atmosphere and you raise the overall experience to an even higher level. When your clients truly know their fans, they will be better equipped to design and create a compelling game day experience that is sure to please. Everything from ticketing to tailgating to ordering a hot dog can be an engaging interactive experience for fans. Just as brick and mortar stores have developed interactive digital signage to enhance the customer experience, many aspects of the in-venue fan experience can be improved leveraging smartphone technology tied into stadium concessions and fan interaction. Adding in digital interactive displays and other integrated technology including mobile apps and robust in-stadium Wi-Fi will offer a much more personalized and interactive fan experience. When audio-visual technology is maximized to its full potential, fans will have little reason to stay home. While some teams are integrating innovative lighting technology into their fan experience, others are adapting architectural designs to amplify crowd noise. Starting with data collection to personalized app deployment and extending through the game experience, AV integrators can help our clients generate the best return on investment to prepare their venues for the big game. While some fans may respond to in-seat HD televisions that allow them to augment their viewing experience, others may find wearables a great way to enhance their enjoyment on game day. In every case, the technology is available to make the in-stadium experience far superior and more memorable for fans. Continually studying fan preferences and tailoring AV integration plans to address those desires will help your clients keep the seats packed each and every game.